Farmers and conservation groups filed a federal lawsuit on Friday challenging the Environmental Protection Agency’s approval of Monsanto’s new “XtendiMax” pesticide. The approval, of the pesticide company’s latest version of the older weed-killer known as dicamba, permits it to be sprayed directly on Monsanto’s genetically engineered (GE), dicamba-resistant soybeans and cotton. The decision greenlights a massive increase in use of the toxic pesticide, increasing risks to farmers, community health, and the environment. Because these same crops are also engineered to withstand applications of Monsanto’s Roundup, the overuse of that pesticide (containing the active ingredient glyphosate) will continue at current high levels. Monsanto’s own conservative estimates predict that dicamba use on soybeans would go from 233,000 pounds per year to 20.5 million pounds per year, and dicamba use on cotton could go from 364,000 pounds per year to 5.2 million pounds per year. Dicamba is linked to increased rates of cancer in farmers and birth defects, while glyphosate was recently classified as a “probable carcinogen” by the World Health Organization. 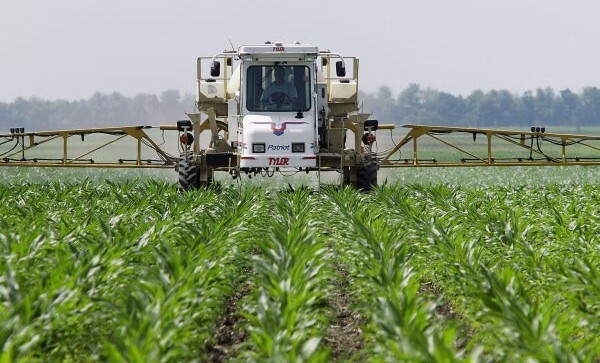 Farmers are extremely alarmed by dicamba’s propensity to drift and damage neighboring crops, while conservationists are concerned about its impacts to biodiversity. Dicamba drift threatens plants that provide nectar for pollinators and habitat for animals, and it is frequently detected in surface waters. Farmers in 10 states have already reported that much more limited dicamba spraying associated with Monsanto’s new dicamba-resistant crops has caused widespread damage to thousands of acres of their crops. And last fall, a dicamba drift dispute between an Arkansas and a Missouri farmer even resulted in one farmer being shot to death. “Monsanto’s dicamba-resistant crop system will drive up sales of this outdated pesticide, spur more superweeds and damage vulnerable crops. Monsanto’s solution is expensive, inadequate, and reckless. If Trump’s administration wants to serve farmers, it will invest in healthy, long-lasting solutions to farmers’ needs, not pander to corporate greed,” said Marcia Ishii-Eiteman, PhD, PAN senior scientist. The huge increase in dicamba spraying will trigger an outbreak of dicamba resistance in weeds, just as massive use of Roundup on first generation GE crops created an epidemic of weeds immune to glyphosate. While Monsanto spins its new dicamba crops as a fix to the current weed resistance problems its own Roundup Ready crop system caused, many scientists, and even the U.S. Department of Agriculture, predict the opposite: the rapid emergence of more superweeds, resistant to both herbicides. The evidence on the ground already indicates EPA’s weak weed resistance “management” plan will make the problem even worse, both because it lacks limits on dicamba use, and because it primarily relies on Monsanto for its implementation and enforcement. Despite admitting significant risks to dozens of endangered species, the EPA still refused to consult with the expert federal agency in charge of endangered species, the U.S. Fish and Wildlife Service.